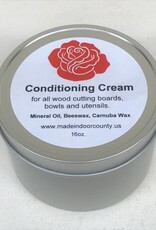 Richard Rose Culinary Wood Conditioning Cream will keep your wood products looking lovely! 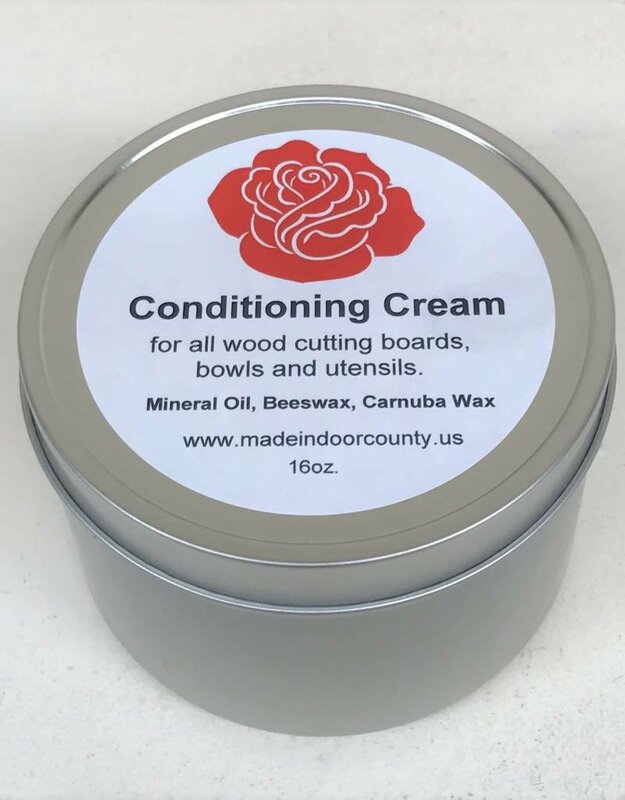 The cream will moisturize and put a barrier on the wood to repel water. It will help keep the sheen of your boards and will help to maintain the beauty and tenure of your cutting board. Use a soft t-shirt type cloth to rub the conditioning cream onto your cutting board. Allow the cream to sit on the cutting board for a bit. Wipe off excess cream with your soft cloth.